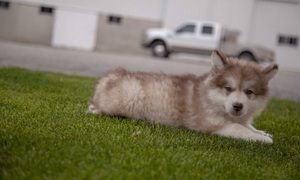 Beautiful Alaskan Malamute puppies for sale, pups are vet checked, vaccinated, dewormed, microchipped and Kusa Registered. Please call to view. Parents also available for viewing. Puppies are ready for their new families now. To avoid disappointment book your puppy now. whatsapp call sms us on +27634248193 for more details and pics.